If I thought I loved the Faloiv series before with A Conspiracy of Stars, my love reached new depths with An Anatomy of Beasts. An Anatomy of Beasts questions our ethical choices and our definition of home. Everything I loved about A Conspiracy of Stars was only further developed in An Anatomy of Beasts. If you love books with rich world building, Cole delivers a stunning planet not only full of lush plants, but descriptive animals. It’s like walking through a virtual off planet zoo! Not only that, but An Anatomy of Beasts asks us what we will do to fight for our home. Where we will take our stand. It’s about having to think for ourselves in a world, a society, that wants to deceive us. I could not stop reading An Anatomy of Beasts for so many reasons. I am still in love with Octavia, her determination, her passion, and her empathy. I adore the world building in this entire series because I have such a soft spot for animals – and this book has the cutest ones ever (I can’t tell you till you read it!). But what really resonated with me is not only Octavia’s challenge to break through the rhetoric in the N’Terra community, but the fact that An Anatomy of Beasts proves we must know our past in order to not repeat the same mistakes. As Octavia keeps discovering more truths and lies in an epic mystery, she has to keep (re)defining herself. In light of what she knows, who is she now? Who are the people around her? It’s a story of Octavia and her quest to do what’s right, even when who she is seems to be changing at a mile per minute. Torn between who we are and who we want to be. Do we have the strength to be more than who we think we are, if we know who that is at all? Because what Cole illustrates again and again is that in order to not make the same mistakes, we have to honor and know our past. We need to have a respect for the past, to know who we were, so we can figure out who we want to be, and who we cannot afford to become. When we don’t ask questions about our past, we can fall into the same problems and traps. An Anatomy of Beasts is an atmospheric book full of otherworldly creatures: lumbering giants and swift predators, of birds that sing and secrets older than time. This book is so descriptive it’s almost like we’re walking next to them in the forest. Octavia’s journey is one of discovery and constant re-definition of the ethical decisions we are forced to make, and how that changes us. It’s a book that stresses our choices – to become who we want to become, to find our alliances, and to choose our home. 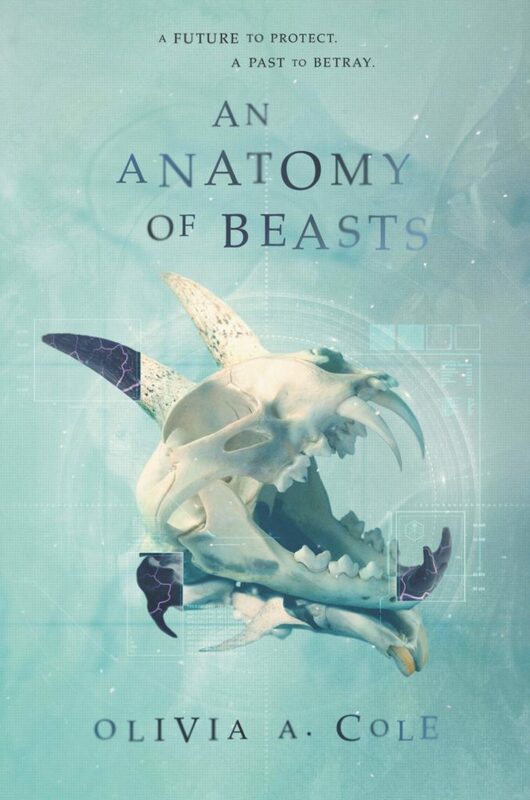 Find An Anatomy of Beasts on Goodreads, Amazon, Indiebound & The Book Depository. If you preorder you can also get a beautiful pin! Tell me your favorite fictional planets? Exactly! Our history, culture, roots make us who we are. I cannot believe that some schools don’t even teach history any more. How can we ever hope to learn to go forward if we don’t even know where the starting point is? YES! And this is exactly what this book talks about which is why I was just so obsessed! Excellent review! I think I’m going to love Octavia–I just purchased the first book, so I’m behind, but better late than never. I love what themes this book gives the reader. Yay! And yes you still have plenty of time to love it! I can’t wait to see what you think!